Making Deviled Eggs always seems to be a hassle since you have to peel shells and scrap out the yolk inside. Square Deviled Eggs are so much easier! The white and yolks are separated and cooked individually then brought together to taste just like the amazing Deviled Eggs we love! It’s also fun because it’s a square version and still looks cute and fancy. 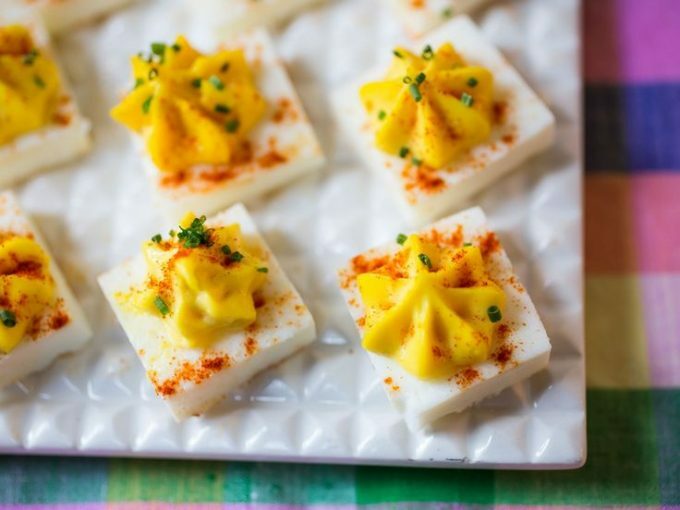 Food Network has put together a video how to create these delicious Square Deviled Eggs. The ingredients and instructions are all there and very simple to follow! Click here to take a look and create your very own Square Deviled Eggs!